Are you interested in being a CVM workplace or school ambassador? 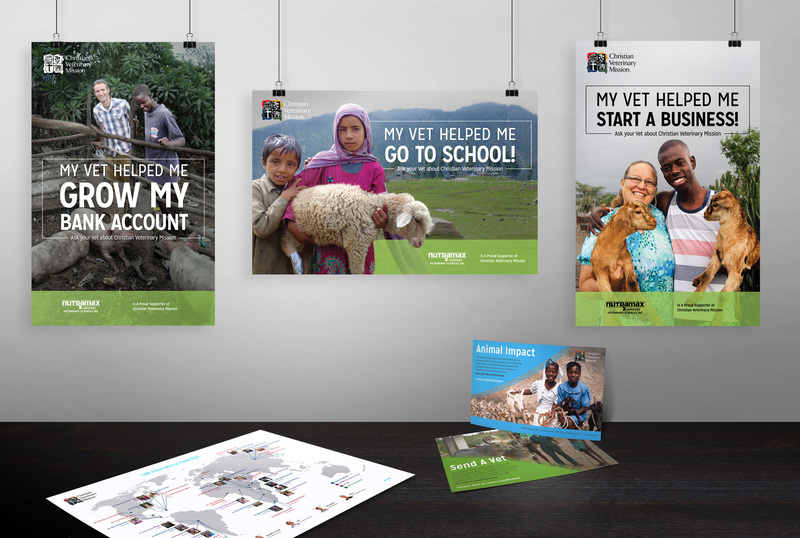 Share your passion for ministry, mission and your veterinary profession with the following resources. We have put together some options to help spark conversations with others that result in opportunities to share your faith and involvement with CVM. Answer the questions on the form below to choose which resources you would like. Orders are filled within 7-10 business days. Choose which pack you would like. Fill out the form below to receive your FREE link to the entire CVM Media Kit. Personalized Banner — Add your clinic or university name for your next event. Personalized Posters — for your clinic, waiting rooms, or to advertise a special event. Insert your own clinic or location. CVM Logos — For your use on your website, digital media, flyers or clinic brochures. Videos — Specially created videos to share the story of CVM with your patients. Looping PowerPoint — to show on your lobby screen or at conferences. 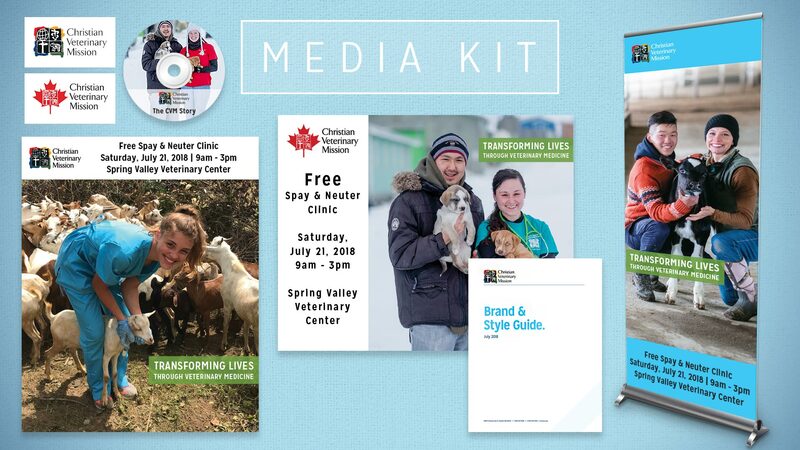 CVM Style Guide — to help you create media pieces that engage. Links: to Videos, Facebook, and the CVM Website that you can share with others. Remember a Pet is a way for you to reach out to a friend or client when they lose a beloved pet. 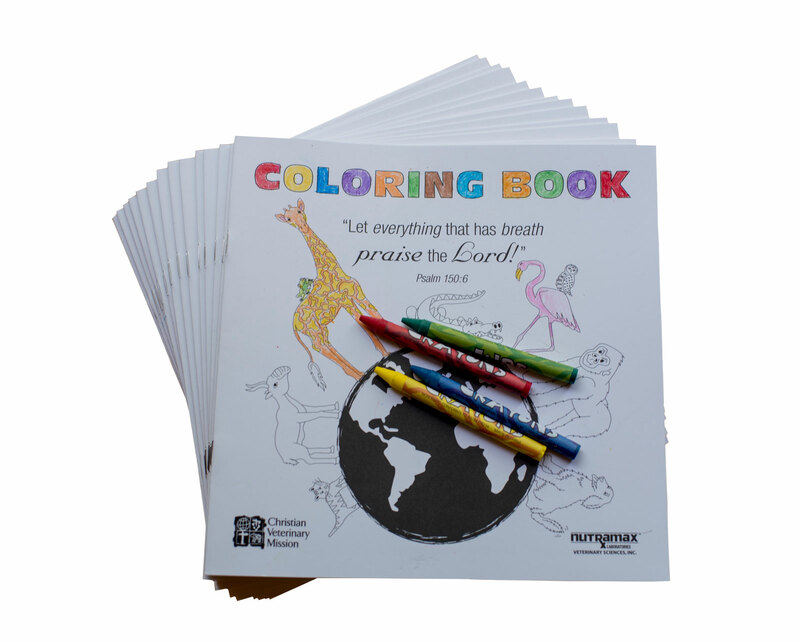 This program allows you to send a warm, personalized card expressing your condolences while giving a gift to support veterinary missions through Christian Veterinary Mission. Your grieving loved one or client will receive a card acknowledging their loss and explaining your donation in honor of their pet. The goal of the CVM externship program is to provide 3rd and 4th year veterinary students with opportunities to be mentored (professionally and spiritually) by Christian veterinarians who seek to serve the Lord through their practice. Veterinarians interested in hosting student externs should have a Christ-centered focus to how they run their business and interact with clients/employees. Externships are a great way to gain professional experience while in school. CVM seeks to connect students with local practitioners willing to welcome students into their clinics to learn and grow. We feel that gaining experience in your profession, while working in a Christian environment allows you to get a feel for what the demanding industry is like while learning to maintain a Christ-centered practice. We invite you to see what externships are taking place near you! CVM offers a job board to help connect Christian clinics with fellow Christian veterinary professionals looking for work. If you are a veterinary professional looking for a Christian work environment, then check out the listings we have and connect with the employer. We hope that this job board will serve as a portal to connect the CVM community employers and employees. If you are a clinic looking to hire someone of Christian beliefs, this is a great place to list the opening for the CVM community. Please enter the details of your job posting and submit a payment of $120 to list your job. Would you like to opt-in to receiving CVM communications? Would you like to make an additional tax-deductible donation?